One of the most popular types of Holiday, camping offers people the chance to enjoy the great outdoors at close quarters. For many people their first experience of camping is as children, setting up a tent in their own backyard. But it is also a popular activity with adults, who enjoy getting away from cities to explore the countryside and perhaps even learning survival skills in the wild. Camping offers the freedom to choose to stay at one campsite through a holiday, or to set up camp at a different site each night. whatever the type of camping it is important to take appropriate clothing food and equipment. Himachal is treated as the tourist paradise of India. Here are great scope of adventure activities so the camping and hiking. Upper Himachal like kinnaur , Lahaul and Spiti , Shimla, Kullu, Chamba and Kangra have many great regions of adventure and camping. We are pleased to offer all kind of adventure and camping activities in hilly areas of Himachal. This entry was posted in Blog on May 29, 2018 by admin. best affordable Budgeted Shimla Manali tour package from Chandigarh and Delhi. Shimla Manali tour package is the most selling package of Himachal. Located merely 130 km Shimla is a easy approachable destination from Chandigarh. 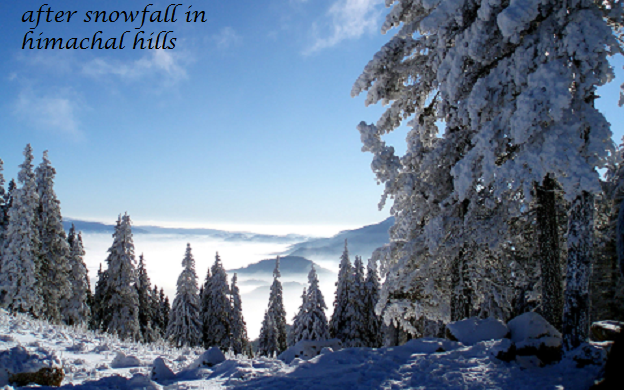 Shimla is nearest destination where higher altitude weather is accessible with pine forests and heavy snowfall. Also Manali in the depth of Himalayas has smooth road and facilities so the destination is popular. Shimla is been a tourist hot spot since British times, the colonial impressions over here with tremendous natural beauty attracts visitors world wide. The place is now known for its luxurious resorts and villas, fun parks and wild parks. For instant bookings call @098169-44800,078072-04700. This entry was posted in Blog on March 21, 2017 by admin. Kafnoo is a small first village of Bhaba valley. Going to Bhaba valley from Vangtu Kafnoo is small and beautiful village , the first village of Bhaba valley. With traditionally built houses and dressings of the people it gives the glimpse of rich culture here. A beautiful lake or water reservoir in the middle of the valley for Kafnoo dam is located on river Bhaba. The beautiful lake is worth adorable. The crystal clear water of the lake is photogenic itself. These are two beautiful village of Bhaba valley on the left bank of the Bhaba river. The culturally rich village has there own deity in the middle of the village which are considered the cultural centers of the village. The valley has also connected with the beautiful trek to the world famous Pin valley. The meadows of the valley directs trekers to Pin valley at Muling. Here we can visualise the Bhaba valley kinnaur as the bowl of beauty where we can see feilds of potato, orchids of apples lush green kandas, roaring waterfalls and snow capped peaks of Himalayas. This is a little experience of Bhaba valley. The small place has diverse and bigger impact for visiters. Once you visit the place, you can never forget the heavenly experience of this pretty valley of Bhaba river. We, Himview Holidays provide packages along with Bhaba valley as sight seen from Sangla in our Kinnaur tour package and Kinnaur Sangla Kalpa tour package. We also provide some popular tour packages like Shimla Manali tour package, Kinnaur tour package, Manali tour package, Dharamshala tour package and Dalhousie tour package. This entry was posted in Blog on June 26, 2016 by admin. This entry was posted in Blog on June 21, 2016 by admin. This entry was posted in Blog on May 31, 2016 by admin. This entry was posted in Blog on March 21, 2016 by admin. This entry was posted in Blog on February 2, 2016 by admin. Get Best Himachal tour package for Shimla, Manali, Dharamshala and Dalhousie for 9 nights 10 days from Himview Holiday i.e. best Travel & Tour Service provider of Himachal and enjoy the beauty of Himachal Pradesh with best services and at very affordable prices.